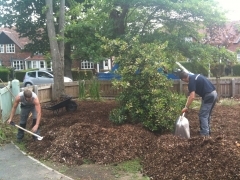 At Yorkshire tree surgeons we offer a full planting and aftercare service, from supplying the required specimens, planting them and then setting up a maintenance/aftercare program should you require it. We give advice on which trees or shrubs are most suitable for your specific site (gardens, car park areas, woodlands etc) so you get the maximum potential from any specimens you choose. 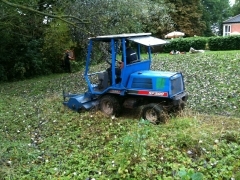 Yorkshire tree surgeons can also supply a mulcher with trained operator. 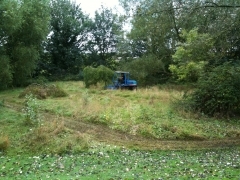 This machine can be used in overgrown paddocks, to tackle long grass, weeds and brambles, right through to clearing out low lying vegetation within woodland areas. It leaves a good quality finish and can turn an overgrown area into a usable plot of land in a short space of time. 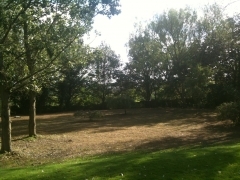 This was an area of land that had been left to go a little wild at the bottom of a large garden. The finished result is neat and tidy. 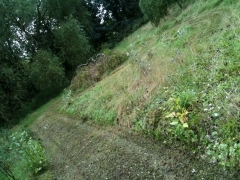 All saplings and large weeds have gone and the area can now be maintained with the use of a normal lawnmower.